The variable-pressure vacuum drying tank is a new vacuum drying technology developed in cooperation with foreign countries. It has changed the traditional drying method with high energy consumption, low efficiency and long cycle. It adopts steam phase drying technology with water steam as the heat carrier. In the stage of hot air heating, it USES the steam vaporized in the drying product and the dry air filled in the drying product as the heat transfer medium. It conducts heat exchange in the heater and the dried product. The drying process of stepped air extraction is adopted to make it high heat transfer efficiency, short drying period and realize automatic operation. The equipment has advantages of excellent drying performance and low running cost. It is mainly used for vacuum drying treatment of transformer and transformer with different capacity under 220kv, 110kv and 110kv. · the pressure change vacuum drying technology is a vapor phase drying technology with water as the medium. The high heat transfer efficiency makes the drying cycle significantly shortened. Besides, the temperature of the transformer body is uniform and the drying degree is good. · high degree of automation. The whole process of drying process is monitored by programmable controller, which completely eliminates the influence of human factors on drying quality. Automatic or manual equipment operation can be switched at any time, so the operation is stable and reliable. · small equipment investment intensity and simple operation and maintenance. 1) preheating phase. At this stage, the tank is in a low vacuum. By using the convection heat transfer of water steam with large heat capacity, the temperature of the winding and the core can rise uniformly and rapidly. During the preheating process, heat evaporation and water removal are carried out continuously, and the pressure in the tank changes between 80000 pa and 40,000 pa to ensure that the water vapor is unsaturated in the dry tank, excluding the possibility of condensation of water vapor on the surface of the core. In this cycle, the temperature in the tank is evenly distributed and the water in the deep insulation is continuously evaporated. At this stage the core temperature up to 70 ℃, can be ruled out by dry content 35% ~ 45% water. Adjust the pressure keeping time according to the environmental humidity to prevent the iron core from rust. 2) transition. At this stage, the vacuum level was reduced from 80 kpa to 10 kpa. At this time, not much water was removed, mainly to gradually increase the vacuum and core temperature, mainly dry stage preparation. 3) main stage. Also known as the pressure change dehydration stage. 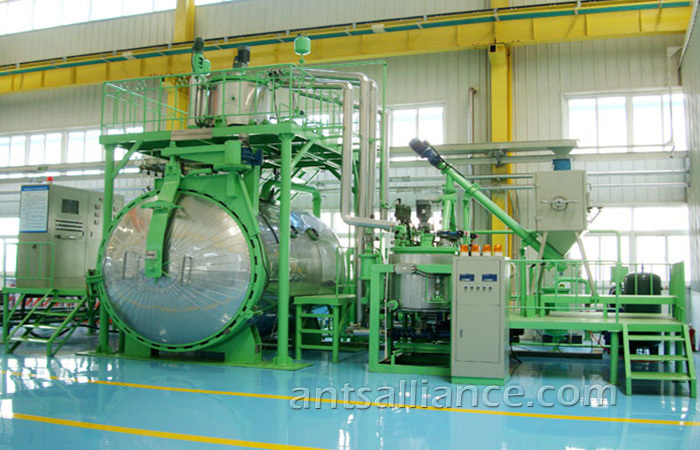 After the preheating stage and transition stage, the core temperature reaches the predetermined value, and the vacuum reaches 10,000 pa, which is then transferred to the stage of pressure change and dehydration. Variable pressure dehydration process: that is, vacuum for a period of time after closing the main valve. The main purpose of this cycle is to vacuum the water vapor out, vacuum up, temperature down. When the main valve is closed, the water in the insulation will evaporate again, reducing the vacuum. These water vapour also participates in convection heat transfer, and the heat lost by water vaporization increases the body temperature. Variable pressure dehydration process is to drain the water vapor and heat transfer of give attention to two or morethings, make water evaporation from the body continuously, at this stage, the core temperature to rise further to above 74 ℃, vacuum degree, gradually increase to around 500 mpa. At this stage, 45% to 50% of the moisture of the dried product can be excluded. 4) dry stage. During the pressure change dehydration stage, the vacuum of the drying pot will be gradually increased due to a large amount of evaporation and extraction of water. When the core temperature reaches the specified value, the vacuum degree reaches the final dry start pressure (500 pa), which is the final dry stage. At this point, the drying tank continuously vacuums, continuously evacuates the residual moisture in the insulation layer until the end of drying and the vacuum finally reaches the end of drying pressure (50 pa). Stop vacuuming and begin to enter the terminal to judge the preparation time. After the preparation time, the vacuum degree was measured to be p1 and the final dry end pressure to be p0. Then, the terminal judgment value q=p1 -- p0 -- the pressure rise of empty tank for 900 seconds (20 pa). When q is less than 40 pa/ton, it is determined to be qualified.